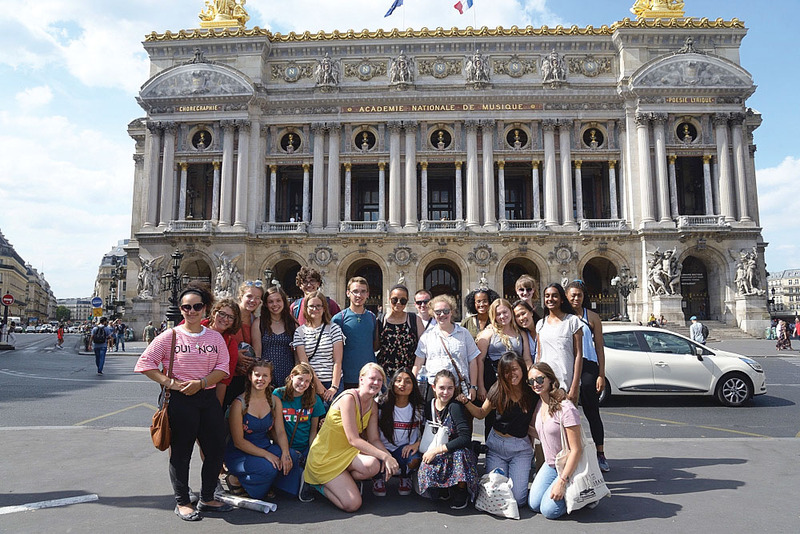 Junior Ava Hutchison (left) visits the Academie Nationale de Musique with her IUHPFL exchange group in France over the summer of 2018. Hutchinson said her summer program allowed her to learn more about France. Junior Ava Hutchison walks down the hall with purpose, but stops when she sees someone who is familiar to her, her French II teacher, Kim Manlick. Although she was planning to go class early to study, she still stops to say “Bonjour.” For Hutchison, although France has always been a passion of hers, she said she really only started to love its language when she had Manlick as a teacher her freshman year. 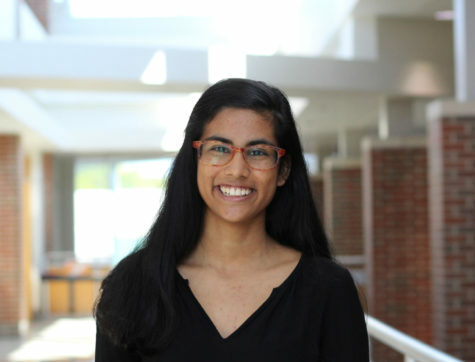 Now, Hutchison said she works ahead of her peers in class and also takes opportunities outside of school, like the Indiana University Program in Foreign Languages (IUHPFL) program, in order to achieve fluency. 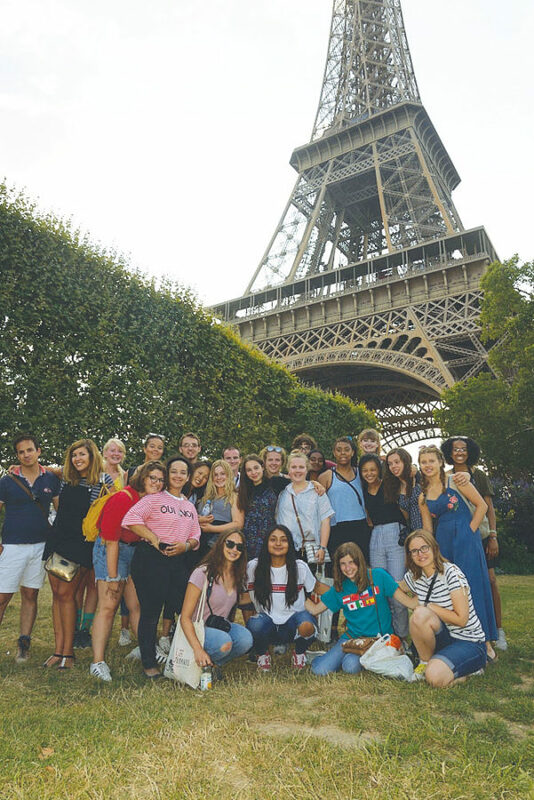 Junior Ava Hutchison is photographed with her IUHPFL class at the Eiffel Tower in France.Hutchison spent six weeks in France studying through the IUPFL program. 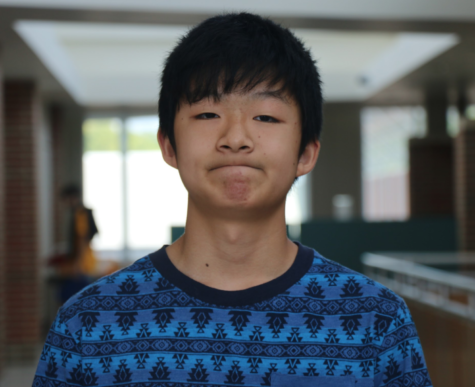 Because of her passion, Hutchison said she feels she is close to fluency in her chosen foreign language, something she feels other students in Carmel or even in the United States never achieve. A recent study from Pew Research Center, a nonpartisan think tank in the United States, affirms what Hutchison said. In the study, it stated only 25 percent of U.S. adults said they spoke a language other than English, and that of that 25 percent, only 7 percent said they acquired their ability at school. 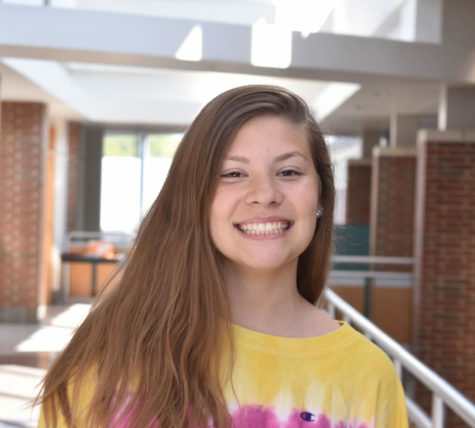 Junior Ellie Dyas said because of her experiences studying abroad she feels the idea that both Hutchison and the Pew Research Center study presented are accurate. 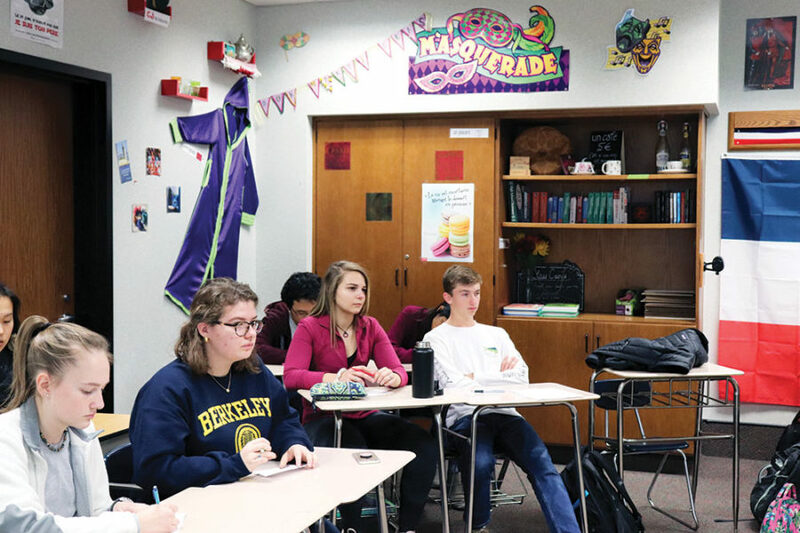 Andrea Yocum, world language department chairperson and French teacher, said she attributes much of the success of other nations in achieving fluency to the fact that languages are taught at an earlier age. Junior Ava Hutchison (third from right) studies in French class. Hutchison also studies French outside of school. In Hutchison’s case, she said she agreed age helps achieve fluency but also said it works in tandem with the proliferation of English media. Despite the relatively low rate of fluency from high school foreign language classes, Yocum said she feels Carmel is set apart from the rest of the nation because of its multicultural society. 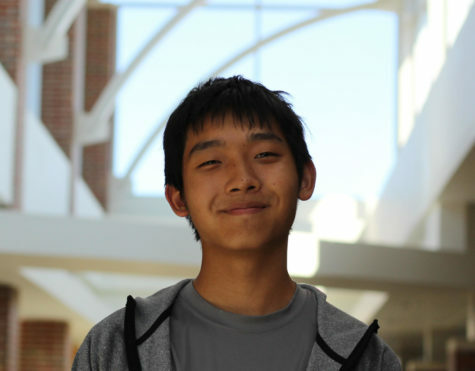 Hutchison similarly said that CHS has a higher rate of fluency because of its multicultural and multilingual society. Like Dyas, Hutchison said she believes high schools in the United States shouldn’t necessarily implement the system of offering multiple languages simultaneously. 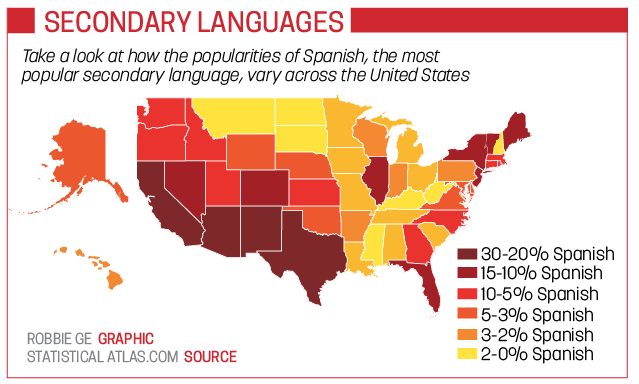 Yocum said she also agreed with the idea that the dominance of English leads to the U.S. students only learning one foreign language during high school.